You no longer need a full PC to enjoy this awesome software. As I write this, I’m using Roon Server to play "Blue Moon" about my room, soon after noon. If you’re reading that, then by some miracle, all my editors laughed instead of cringed, and I can now safely relate to you what Roon Server is all about, and why you might want it. (Right after I have a macaroon.) You can read our full review here. Crumbs swept aside…. 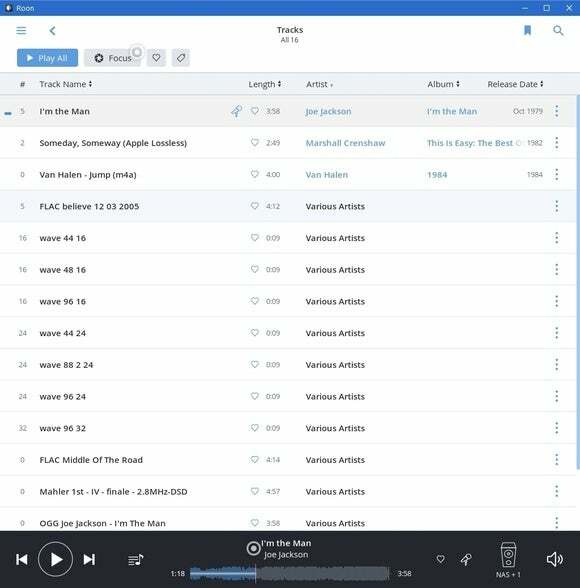 Roon is the Stradavarius or Guarnerius of audio streaming, cataloging, and transcoding. Think of it as iTunes and Windows Media Player on steroids. 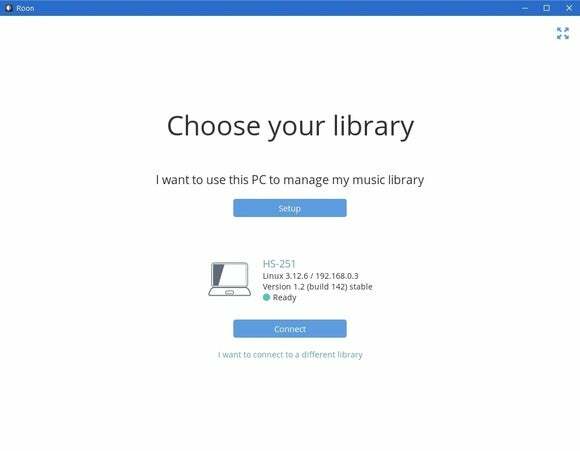 Until recently, however, you had to keep a PC (or Mac, or Linux box) running 24/7 as a Roon server if you wanted to listen to your tunes any time you felt the urge. Now you can use a far more convenient-for-the-task NAS box. Why is NAS more convenient for Roon than a PC? First off, NAS boxes are actually small PCs that are optimized for storage and file access. They differ from that concept in that they're generally headless--meaning you don't connect a monitor to them; instead, you administer a NAS box remotely from another computer via a web browser. NAS boxes are also comparatively small. 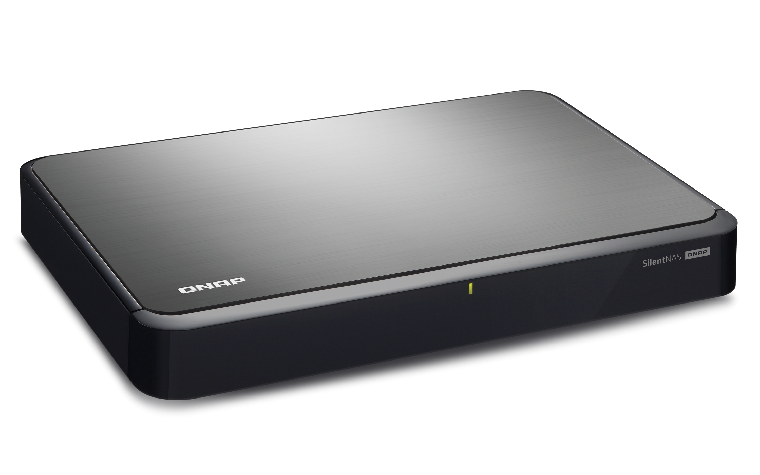 Easy remote access and small size make them pretty much the perfect, hide-and-forget media-streaming devices. The QNAP HS-251 NAS box I used to test Roon Server. Note that most NAS boxes are more box-like in appearance. Christopher Rieke, self-avowed technology tinkerer, obviously shares that opinion. It was he who packaged the Linux version of Roon Server 1.2 for Synology and QNAP NAS boxes. This is a very cool development if you already own one of these multi-use workhorses. It’s an expensive proposition if you don’t, especially if you go for Roon’s recommended configuration of a Core i3/i5 with 4GB of system memory. In that case, you’re talking about a budget of at least $1000, and that’s before you populate the box with drives. Why the need for so much horsepower? Serving audio normally isn’t particularly CPU-intensive, but Roon Server does things no similar software else does. 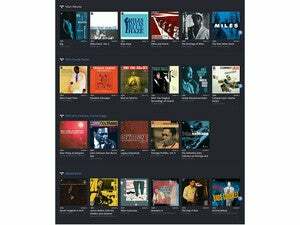 Things such as streaming DSD256 (Direct Stream Digital, the audio format from the SACD platform) and 24-bit/384kHz PCM wave files, as well as decoding all sorts of compressed file types to CD-quality 44.1kHz. Multiply that by the number of devices being streamed to, and Roon can tax the lightweight hardware found in many NAS boxes. Despite Roon’s hefty hardware recommendations, Roon server performed just fine on the $400 Intel Celeron J1800-based QNAP HS-251 I used. Admittedly, I never streamed to more than two devices simultaneously, but I never felt I was waiting unduly, if at all, nor was there any interruption of the streams. This was all done via gigabit ethernet and 802.11ac (2.4Ghz band). 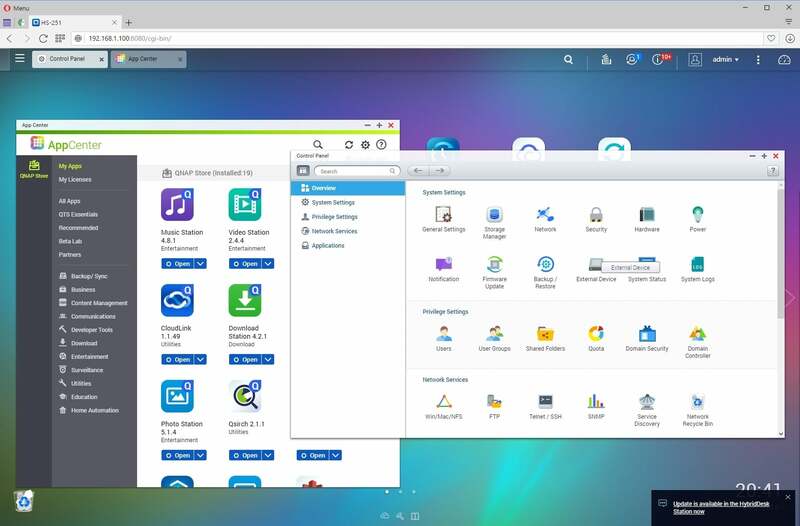 QNAP’s windowed OS in a browser. Synolgy’s user interface is similar. Once logged onto the NAS box, you create a shared folder called RoonServer for the music database and other elements, download the installation package from Christopher Rieke’s Web site using your PC, open a manual installation dialog in the NAS box’s App Center (QNAP’s is shown above), browse to the file’s location, and click install. Easy. 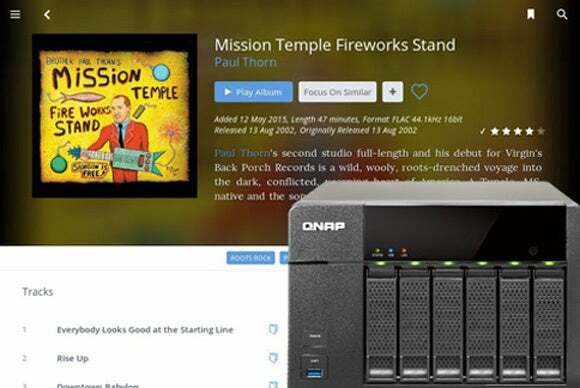 About the only thing you need to configure initially is where Roon Server looks for your music files. 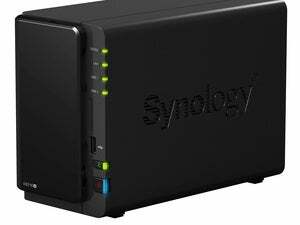 Configuration and control of the QNAP/Synology Roon Server is done not via the NAS browser interface, but remotely from the Roon client on a Windows, OS X, Android, or iOS device. The only thing you absolutely must do to begin with is point the server towards your music repositories; e.g., MyNas\MyShares\MyMusic. Ideally, to reduce input latency (the time it takes to input), these should be on the NAS box that Roon Server is running on, but they can be anywhere on your network. It seems that since our review of last year, Roon has splintered into its component parts: core (the server) and the control/player app. This allows for a trimmer package and smaller hardware footprints, and it's part of the reason the Linux version can now be installed on NAS boxes. I was pretty much blown away by Roon’s sound and capabilities. Running the server on a QNAP HS-251, I streamed audio test files to a number of locations: Windows PCs, Macs, and iPads. The PC Roon player supports ASIO (Asynchronous Input/Output) for my external USB audio interface. Very cool. But I was a little disappointed that Roon wouldn’t play WMA, APE, and Opus files. Roon’s other pages, where music is grouped by artists, albums, etc. and art work is displayed are more attractive than the plain-Jane tracks page I favor. On the other hand, it handled FLAC, OGG, MP3, Windows Lossless (a bit strange given the lack of WMA support), and all of Apple’s formats flawlessly. And as I alluded to earlier, Roon plays .dff files ripped from SACDs. It’s the only program that I’m aware of that will do that without considerable hoop-jumping. Listening side-by-side with iTunes, Windows Multimedia Player, VLC, Media Player Classic - Home Cinema, and PowerDVD 16, there was a punch to Roon’s output when it played compressed files that was lacking in the others. I found it so pronounced, that I queried the company about any subtle enhancement that might be taking place. They said there is none, just really good conversion to the 44.1kHz used on CDs. I did a lot of comparing over several days due to my deep skepticism about boutique audio products—I continued to hear a difference. If that weren’t enough, when I say that Roon will play a 192kHz file (actually I said 384kHz, but I don’t have any files or devices that support that), I mean it plays it at 192kHz, assuming your audio interface or device supports it. 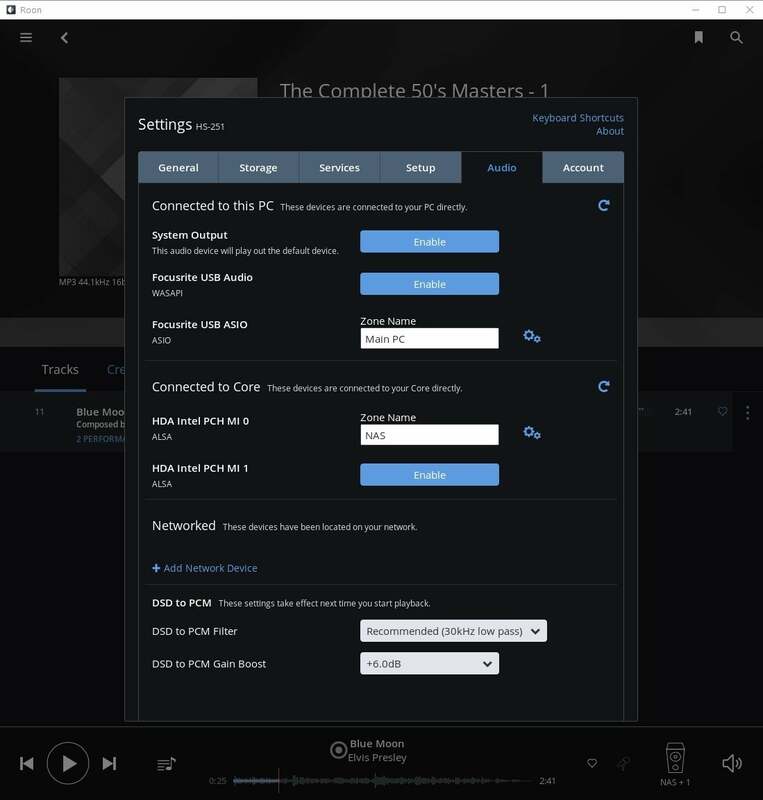 Most players re-sample to the current audio setting, while Roon will actually set the audio device to the proper sample rate if it supports it and the driver allows switching. In case you were wondering, my setup is a Focusrite Scarlett Solo (2nd Gen), normally set to 24-bit/96kHz, outputting to an Onkyo TX-8211 receiver and Boston Acoustics CR6 speakers. Occasionally I switch to the larger CR7s for a bit more oomph. That equipment is relatively budget priced--it can all be had for less than one of the audiophile products that are sold as Roon-Ready--but it's the best-sounding rig I’ve ever listened to at low volume levels. While Roon will operate just fine using its default settings, there are all sorts of tweaks, including DSD-to-PCM filter settings; DSD gain fixed volume, or volume by DSP, or volume by driver; and more. Then there’s the whole reference to the Core and Zones (grouping output devices according to areas of your domicile, etc.). There are also settings for library maintenance and behavior. I mention all this because some of it might seem daunting at first, if you’re not familiar with the technologies or concepts involved. A system of tool tips or some such might be in order. Some of Roon’s settings will seem obscure to non-audiophiles. Unfortunately, I had a couple of issues with the Roon Windows 10 client. Whenever minimized, or hidden behind another window, the client wouldn’t redraw, leaving only a blank, white window. Restarting was required to clear the issue. The Roon forums blamed this on a bug in Intel HD graphics drivers. Some drivers for newer discrete GPUs have been fixed; some, like the one for my HD 4000 graphics, have not. Roon also froze once, though I am testing a beta driver for Focusrite at the moment. That might have been the culprit, though no other media player has suffered that issue. The only issue I experienced with the Roon Server was its refusal to recognize or list a plain-Jane 128Kbps MP3 file of the Marcels singing, yes, "Blue Moon." Just the one file, out of the 70 or 80 I tried. Go figure. Hopefully these issues will be resolved soon. Okay, the average consumer isn’t going to pay $10 a month (or $500 for a lifetime subscription) just to stream their own music when there are numerous free ways to do it. But I, a complete and utter skeptic when it comes to “hearing a difference,” heard a difference between the free players and Roon with compressed formats. And nothing else seamlessly supports DSD or streams at the fastest sample rate of your device. If you’re super-serious about audio, you need to check it out. If you have the cash, like what you hear, and your computer isn’t affected by the graphics bug, get the service and the NAS box, which is a heck of a lot more convenient for implementing Roon than a normal computer. You might want to wait for until a new version of the Roon Server for Linux/NAS boxes that fixes the issues I experienced, but then you can let Roon croon until you swoon. Sorry, had to. 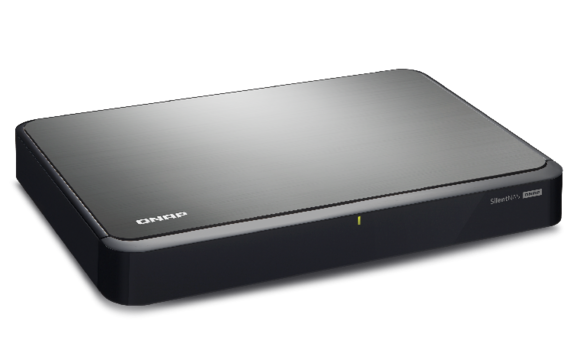 Correction: The QNAP HS-251 is powered by an Intel Celeron J1800 processor, not an ARM CPU as we originally reported.